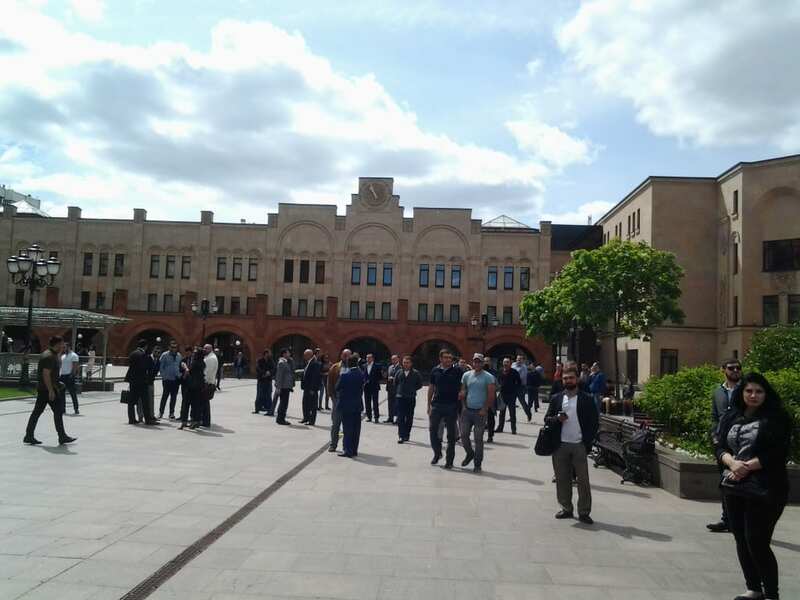 Armenian PM Nikol Pashinian visited the Armenian monastery complex of the Armenian Church in Moscow in the morning of June 14 on the sidelines of the visit to Russia. The Prime Minister was welcomed by Archbishop Yezras Nersisian, Primate of the Diocese of Russia and New Nakhijevan of the Armenian Church. Local Armenians gathered in the monastic complex, joyfully greeting the Prime Minister, ARMENPRESS correspondent reports from Moscow. The PM then entered the Holy Transfiguration Cathedral with the Archbishop where a candle lighting took place. The Armenian PM also toured the Tapan Museum of Armenian cultural and church exhibits. Then, Prime Minister Nikol Pashinian visited the new St. Gregory of Narek College, which will be opened in September. The PM was briefed that the college is equipped with the best equipment and property. Earlier on June 13, the Armenian Prime Minister had a meeting with Russian President Vladimir Putin. He also attended a gala concert dedicated to 2018 FIFA World Cup in the Red Square. On June 14, the Armenian PM will attend the opening and first match of 2018 FIFA World Cup in Moscow’s Luzhniki stadium.